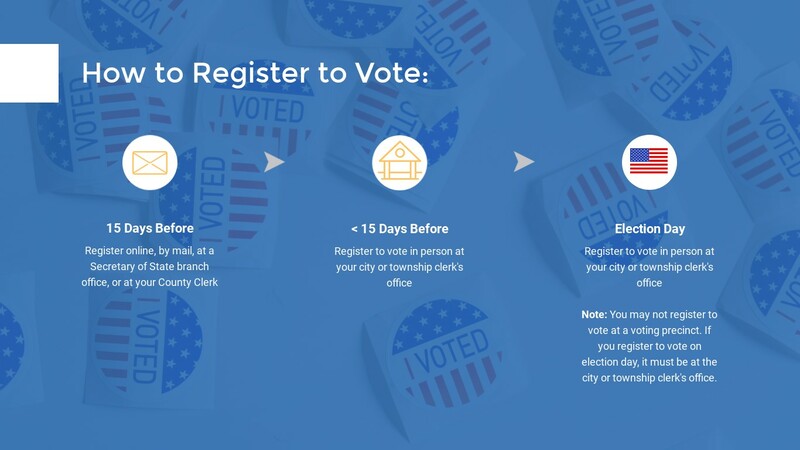 This is especially important for newly-registered college students and others who may be away from their voting precinct on their first election day. If you did not register “in person,” contact the Township Clerk’s Office for guidance on how to fulfill the ID requirement. 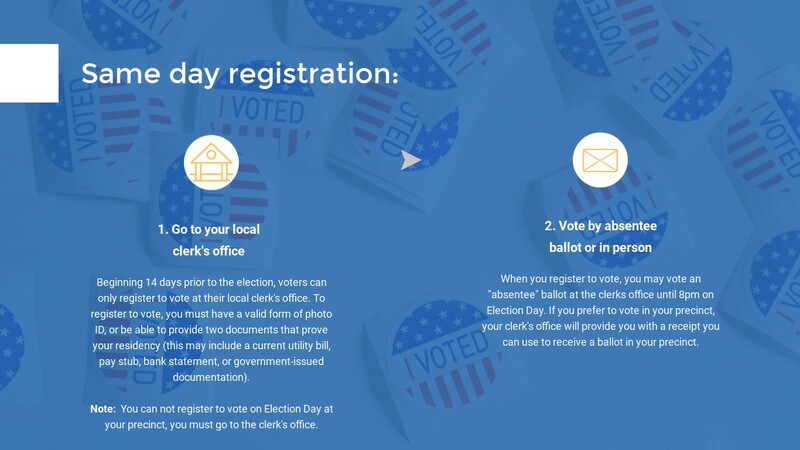 How Does Same Day Registration Work? 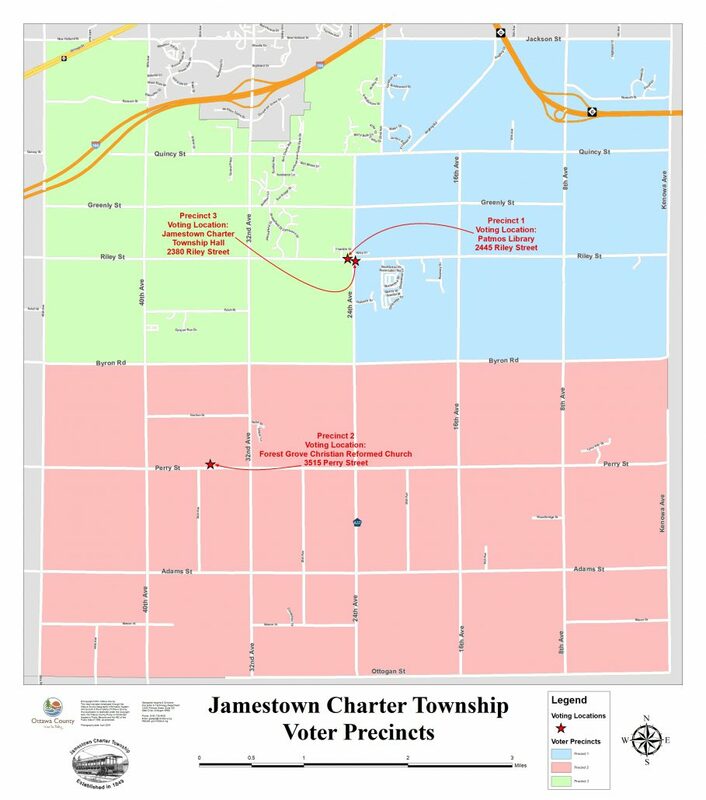 Jamestown Township maintains a Permanent Absent Voter (AV) List. 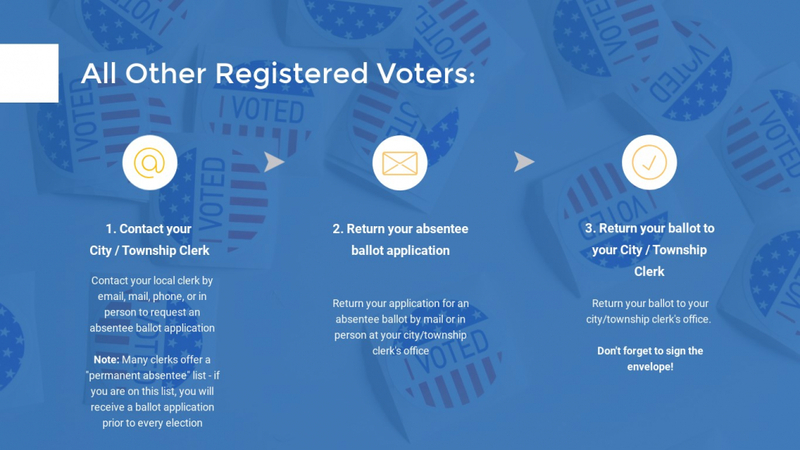 If you would like an “Application for an Absentee Ballot” automatically mailed to you for every election, please contact the Clerk’s Office with your request to be added to the Permanent AV List. 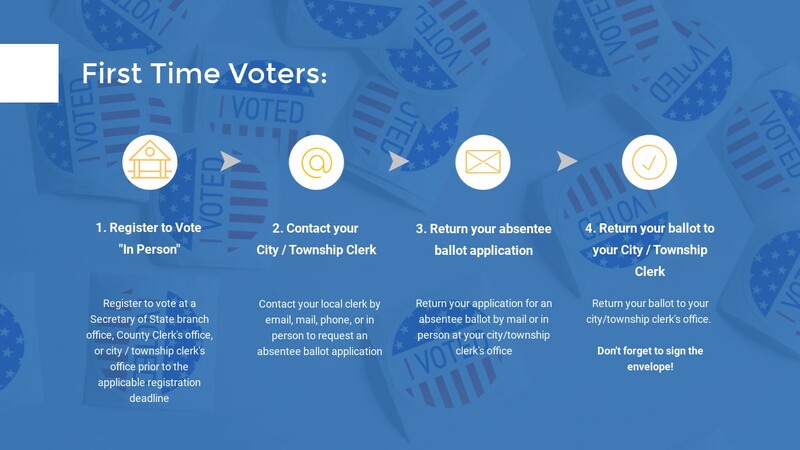 To verify if you are registered to vote, find your precinct, view your sample ballot for the upcoming election, or track the status of your absentee ballot, please click HERE to be redirected to the Michigan Voter Information Center. An Election Inspector is a qualified and registered Michigan voter who works in a Polling location to help facilitate an election. Sound interesting? Please complete an Election Inspector Application and return it to the Clerk or Deputy Clerk.